K’na means “dream” in T’boli, the language of one of the ethnic groups of South Cotabato and Sarangani in southern Mindanao. K’na, the Dreamweaver is a dream come true for writer and musician Ida Anita del Mundo. Having a fondness for Japanese and Chinese epics as well as epic films such as the works of Zhang Yimou, Ida had always wanted to write an epic story. This dream began to see fruition when she had the opportunity to visit Lake Sebu, South Cotabato, in July last year as a reporter for The Philippine Starweek magazine. 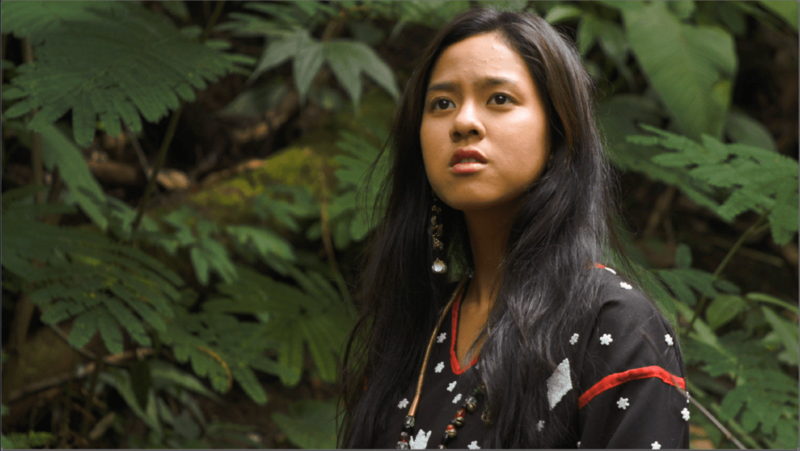 The lake’s beauty inspired her and she found this to be the perfect setting for a story she had been developing, with the tradition of t’nalak weaving becoming the thread that tied the whole narrative together, and the T’boli culture, including its art and music, further enriching the story. Then Cinemalaya entered the picture. Del Mundo’s dream script became bigger than she expected. It’s coming to life on the big screen. The film tells the story of K’na, the village’s next dream weaver who is torn between following her heart and marrying someone for the sake of restoring peace in her community. Del Mundo sees herself as a writer more than anything else. When she was persuaded to direct her own script, she was hesitant at first but delightedly accepted the role. Here, creativity and resourcefulness came into play. For instance, the opening sequence was planned to be shot using a helicam, that is, a camera attached to a remote-controlled mini helicopter for aerial shots. However, the equipment was not available, and the team had to improvise. Casting actors for K’na was also a challenge. Either the actors had to learn T’boli or the local talents with little or no acting experience had to be coached. Playing the title role is Mara Lopez, who is not new to learning a language for a film project. Last year, she had to learn two: Central Bikolano for Debosyon (Alvin Yapan, Cinemalaya) and Ilocano for Ang Kwento ni Mabuti (Mes de Guzman, CineFilipino). She considers T’boli to be the most challenging. RK Bagatsing plays Silaw, K’na’s love interest. 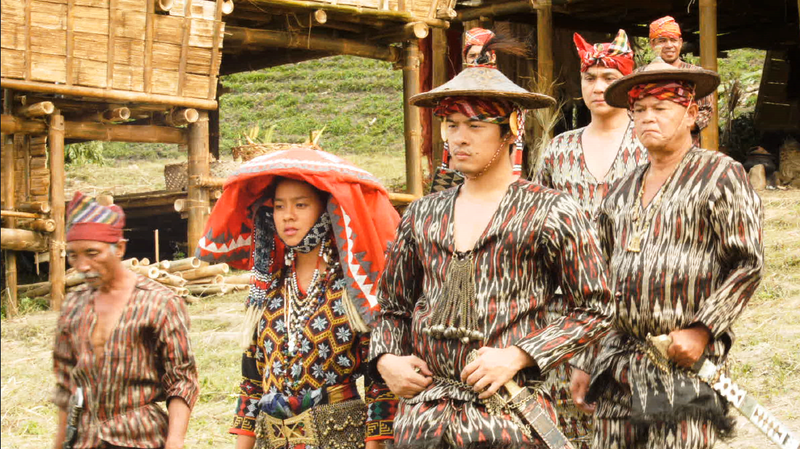 Last year, he was part of Sitio (Mes de Guzman, CinemaOne Originals) and had to learn some lines in a native language in Nueva Vizcaya, but he said that this is nothing compared to learning T’boli. Mara added that they met with their language coaches several times before the shoot and thought that they went through the script more than 30 times. 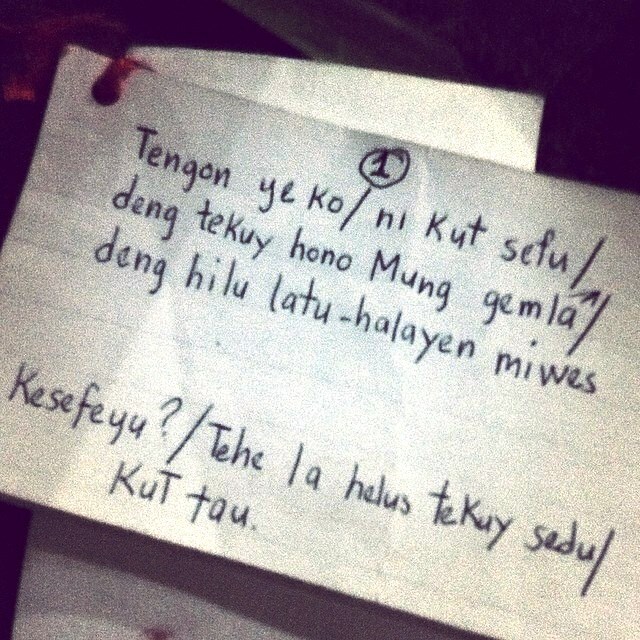 Everyone in the cast also had a voice recording of the script in T’boli, which helped in getting the correct pronunciation and intonation, and in memorising the lines. However, the real test for the actors was not really the ability to speak T’boli but how they were able to feel their lines so their delivery doesn’t sound mechanical. RK felt this a lot of times especially for his long monologue-like lines. It was really a process for majority of the cast to learn T’boli given the limited time. Most kept going back to the English script to fully understand what their lines meant. Mara particularly notes her confrontation scene with Nonie Buencamino (playing K’na’s father, Lobong Ditan) to be unforgettable, “because it was a heavy scene and our lines were so long!” She also loves the rain sequence with RK, where their characters first professed their love for each other. 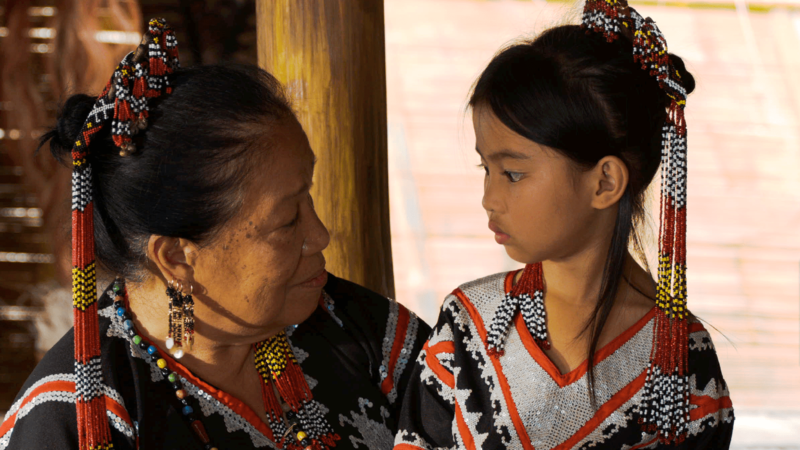 As for the local talents, Ida was impressed with Hazel Ann Sulan (young K’na) and Sarah Jane Cayugan (K’na’s mother) during the birthing scene. first time I did it for her father, Clodualdo “Doy” del Mundo Jr., when we did Pepot Artista, Cinemalaya’s very first best picture. The challenge this time was really getting the funds to run the production. Ten years ago, I could have worked wonders with the seed grant, but today no one can do magic with half a million. I think fate has it in me to be involved in “big” but low-budget productions. Experience tells me that it’s no longer by chance but by design. The project’s timing seemed right at first because I have been waiting to get my hands back on producing films and the idea to be working with my “sister-in-arts” was great, but the universe had another plan for me, so Sir Doy had to take over the reins of being a producer. Just as Ida is following in her dad’s footsteps, so am I following in my mentor’s. It is also interesting to point out that some members of the dream team belong to the second- or third-generation artists. Ida comes in third after her father and grandfather Clodualdo del Mundo Sr., who was a komiks and radio writer and literary critic. Mara is the daughter of Maria Isabel Lopez. RK is the brother of Raymond Bagatsing. Alex Vincent Medina (as Kagis, Silaw’s rival for K’na’s affection) is the son of Pen Medina. Production designer Toym Leon Imao’s father is National Artist for visual arts, Abdulmari Asia Imao. Kudos to Toym’s team who built a whole village in nine days with only bamboo, rattan and cogon bundles and not using a single nail in the construction process. Associate director of photography Miguel Cruz is son of production designer Rodell Cruz. Music scorer Diwa Felipe de Leon also belongs to the third generation. His father is National Commission for Culture and the Arts chair Felipe de Leon Jr. and his grandfather is National Artist for music Felipe Padilla de Leon. Language coach Karina Mae Todi Wanan is the daughter of Maria Todi, K’na, the Dreamweaver’s language coach, translator and cultural consultant. Coming from a family of artists, Ida’s parents are very supportive — almost over-supportive, in fact, as she would say. Ida sees herself to be very different from her dad, whose works are generally urban in orientation. She is more interested in epics, legends and fantasy. After one difficult shooting day, Sir Doy told Ida that he never had scenes as big as some of those in K’na. The assistant director and I couldn’t agree more, too. Ida should have seen our reactions after reading the script. Staying in Lake Sebu and being away from the hustle and bustle of the city for two weeks has made the whole filming experience enjoyable for everyone. RK finds Ida to be very down-to-earth, and a director who gives them artistic freedom, too. The dream of K’na, the Dreamweaver was realised through the generous support of Tuko Film Productions and Buchi Boy Films, in cooperation with SQ Film Laboratories and the provincial government of South Cotabato.